Lincoln Property Lawyers Fletcher Longstaff have selected Hoowla’s case management software to support their strategy in delivering a first class modern conveyancing service for their clients and colleagues. With no initial financial outlay, Hoowla’s pay per case fee structure with no setup charge made the decision in selecting Hoowla a no brainer and ideal for any new conveyancing firm starting up business. Fletcher Longstaff will benefit from Hoowla’s conveyancing quote calculator to generate quick conveyancing quotes for prospective clients. This includes a self-service calculator on their website allowing home-movers to receive an automatic quote whilst all associated information is sent instantly into Hoowla, alerting the team at Fletcher Longstaff to follow up. They will also join Hoowla’s panel which targets home-movers looking for conveyancing quotes. Hoowla’s conveyancing software provides home-movers and estate agents with access to communication and information tools that support Fletcher Longstaff in instructing and progressing files. This unrivalled level of functionality in case management software helps the team deliver their vision of a professional modern service for all their clients. 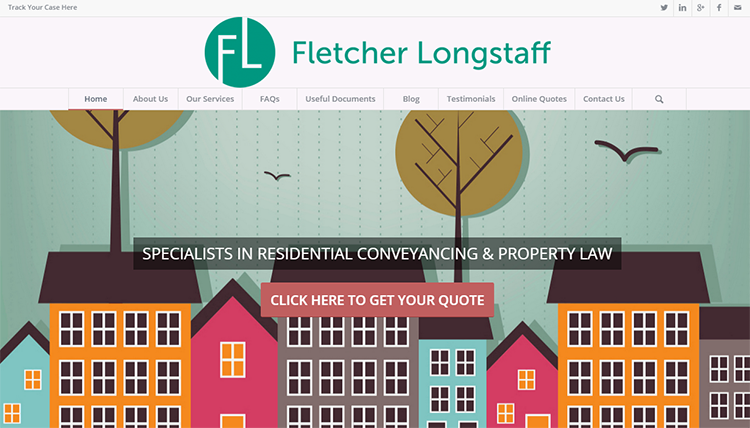 Adam Cheal, Director at Fletcher Longstaff comments, “I have found Hoowla and their quote engine to be invaluable in the setup of my firm and the implementation of my website and my vision. I feel it is vitally important that clients can receive all services as and when they want them and for clients to be able to obtain an instant quote in a matter of seconds can only be a good thing. This also ties in nicely with using Hoowla’s case management system as the two link together very nicely and will ultimately provide clients with a much better service. I cannot recommend the system enough”. Hoowla promotes a modern approach to conveyancing with case management software that includes full accounts and invoicing, precedents and letters, search ordering, Land Registry integration, online SDLT submissions, dashboard reporting and more. Estate agents and home-movers have access to tools that offer a new level of interaction and communication they come to expect in today’s world. For further information please call 01792 687146 or email tom@hoowla.com.